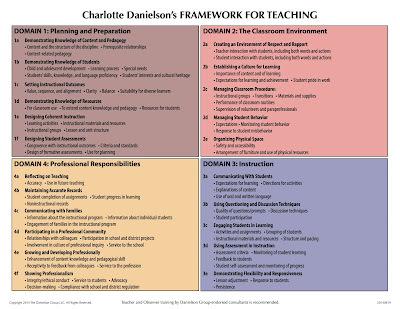 The Danielson Framework for Teaching is a research based model that identifies a teacher’s responsibilities created by Charlotte Danielson. It is the framework and rubric currently used for teacher evaluations in Scarsdale (per New York State mandate). 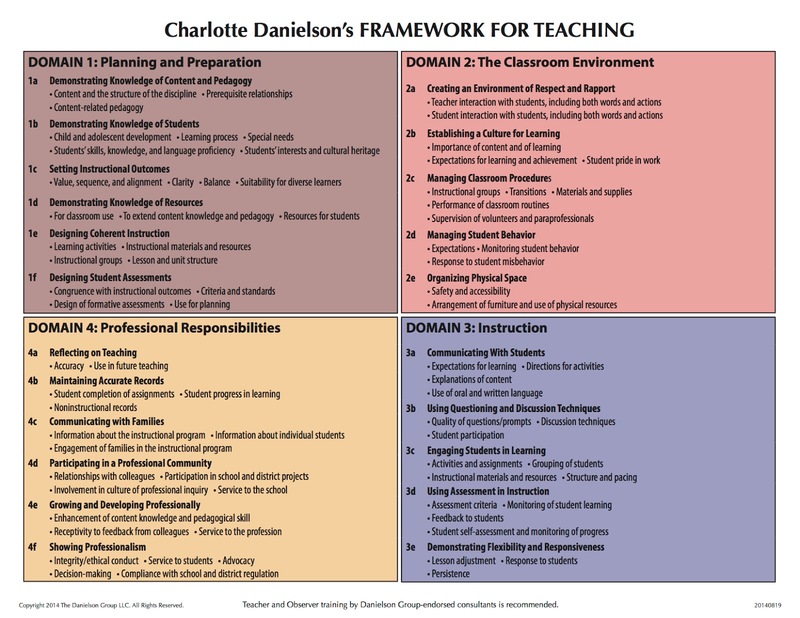 This blog is designed to aligned to the Danielson Framework and in many ways demonstrates most of the framework’s standards. Blog posts on HeathcoteTech have Danielson-aligned tags associated with them. The tags align to an individual standard or include an complete domain. Many posts meet multiple standards, when clicking on the above links be sure to scroll through the results to see the various posts. Additionally, not every post meets every standard and not every standard has a blog post associated with it. Standard 2d, Managing Student Behavior, might not have a post associated with it. This is not to say student behavior isn’t managed but rather there hasn’t been a published post that covers it. Similarly, 4b, Maintaining Accurate Records, might not appear often as publishing detailed student records would not be appropriate. This blog doesn’t hit every standard but is designed to give the reader the idea that what happens at HeathcoteTech happens with quality instruction and professionalism in mind.